The designers of Arnold & Son’s Instrument Collection took their inspiration from the distinctive instrument-like chronometers produced by John Arnold and his son, John Roger Arnold. These delivered the robustness, reliability and down-to-the-second precision needed by marine navigators to determine longitude. The TB Victory is a scintillating combination of maritime precision with aesthetic perfection and celebrates a battleship that owed its long active life, at least in part, to the accuracy of those chronometers. The HMS Victory is one of the best known in English maritime history. After a glorious career spanning forty years, she had her finest hour as Lord Nelson’s flagship at the Battle of Trafalgar in 1805. 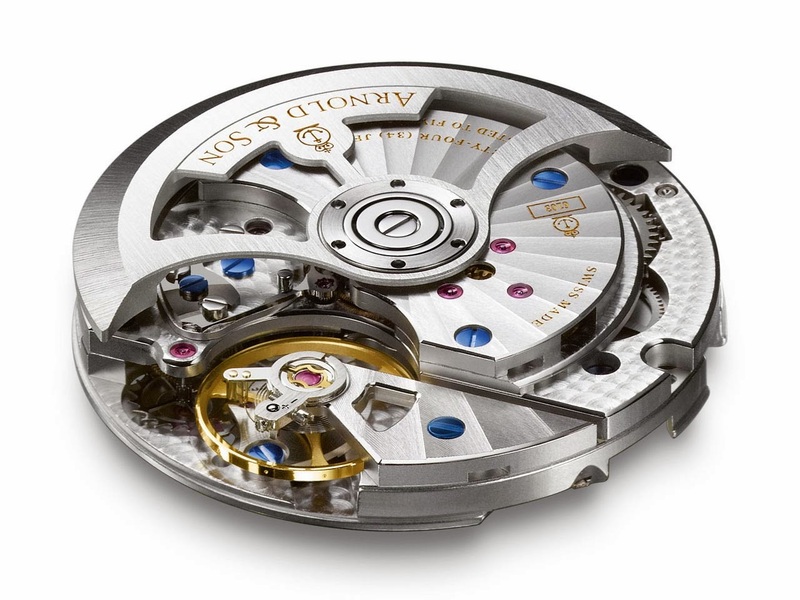 Now, with the exquisite TB Victory, Arnold & Son unveils the latest of its true beat timepieces. 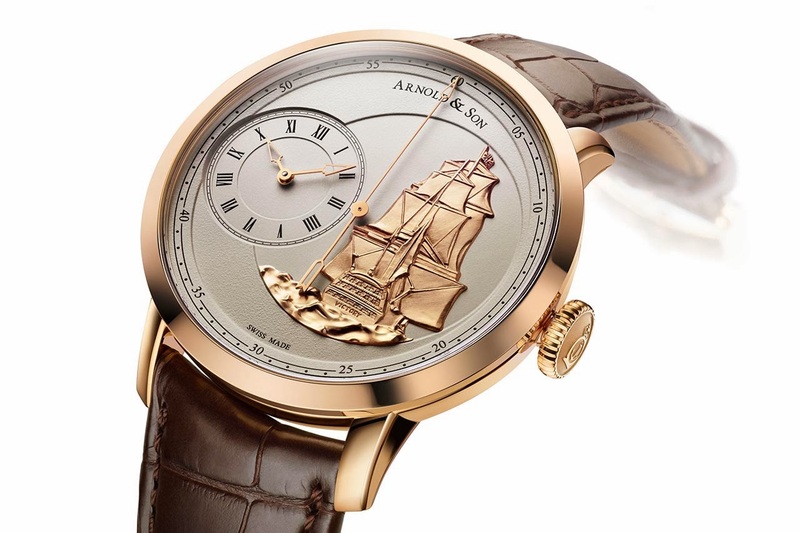 Gracing the right-hand side of the dial is a 22-carat solid gold appliqué of the famous warship, traditionally hand-chased with breathtaking richness of detail by Arnold & Son’s master engraver and then duplicated for the series. In traditional hand-engraving, hardened steel burins and other tools are used to create the cuts, lines and texturing that build up entire images – in this case a perfectly sculpted likeness of the HMS Victory – and underline Arnold & Son’s mastery of the decorative arts. The TB Victory timepiece has a distinctive off-centre subdial for the time of day, one of the unmistakable design cues of the Instrument Collection. Central to the cream-coloured dial is the timepiece’s complication: a central true beat (TB) seconds. A rarely found complication these days, the true beat seconds (or dead beat seconds) stands for superlative accuracy and was an invaluable instrument for marine navigators. The combination of a central true beat seconds with an automatic winding system calls for enormous technical expertise. This is made possible by an internationally patented system and calls for parts accurate to a micron, or one-thousandth of a millimetre. The key components are produced using state-of-the-art LIGA (lithography, electroplating and moulding) manufacturing technology.